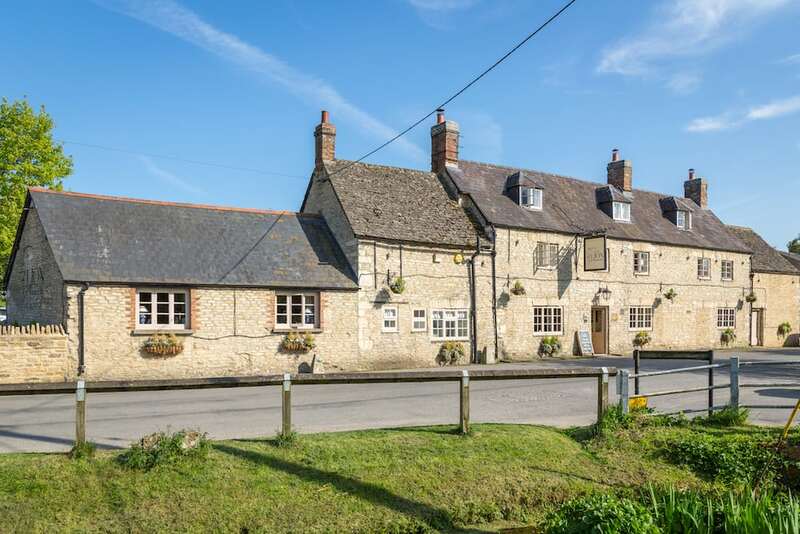 This vast pub-with-rooms near Bicester Village is offers lovely all-day dining. Muddy pops in and pigs out. One August lunchtime, I trotted off to visit The Lion at Wendlebury not knowing what to expect. Wendlebury is a small village (just off the M40 junction 9 on the way to Bicester Village) so I was slightly taken aback by the vastness of the place (and my resulting waistline but more on that later). The car park was pretty full which was a good sign, especially on a weekday in August. 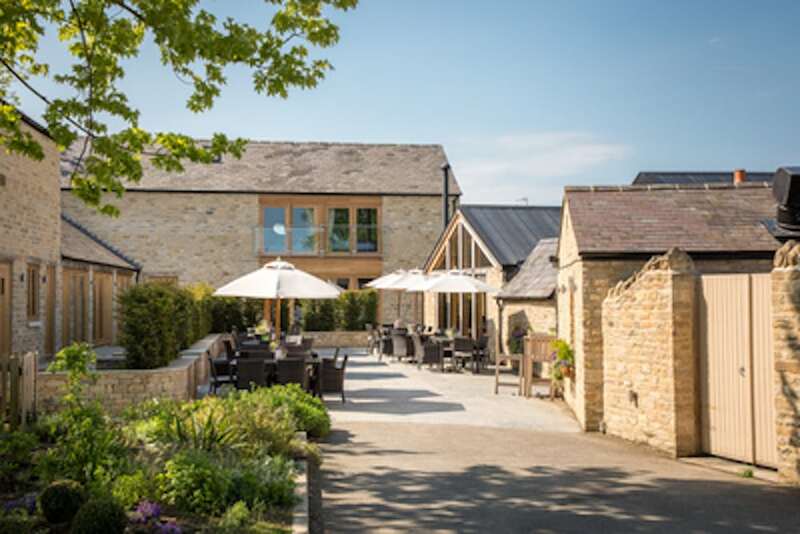 A lovely 19th century honey-coloured stone main building has been recently sympathetically extended to include a conservatory-style restaurant, plus a pleasant terrace for warm days. There’s also a separate building with 13 boutique bedrooms (although they number up to 14, with number 13 being excluded for obvious reasons), in the same style with pale brickwork, wooden doors and matching window frames. It’s an attractive, well landscaped set-up. 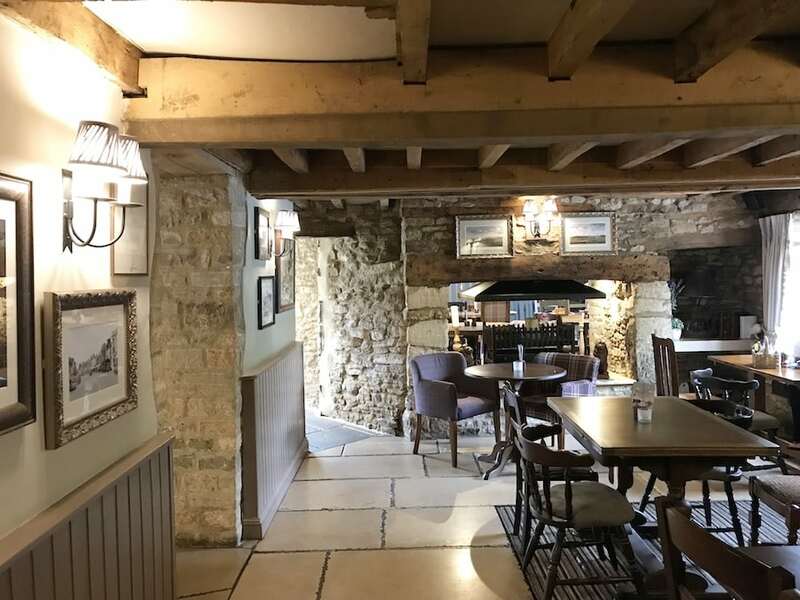 The old part of the pub has traditional low ceilings with exposed beams, flagstone floors and lots of nooks and crannies. There are different dining/drinking areas and a large room for big get-togethers but it all felt cosy and friendly. I could imagine in the winter with a log-fire burning, it’d be equally lovely. 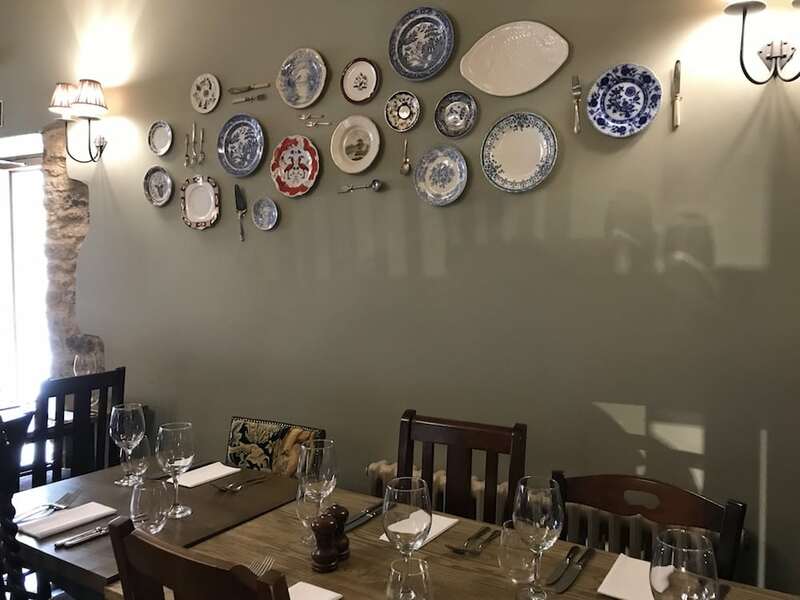 It’s definitely somewhere you could have an intimate conversation, private business meeting, breakfast (they’re open every day from 8am) or settle down with a book and a pint or glass of vino (not a pint of vino though, I’m not an animal). 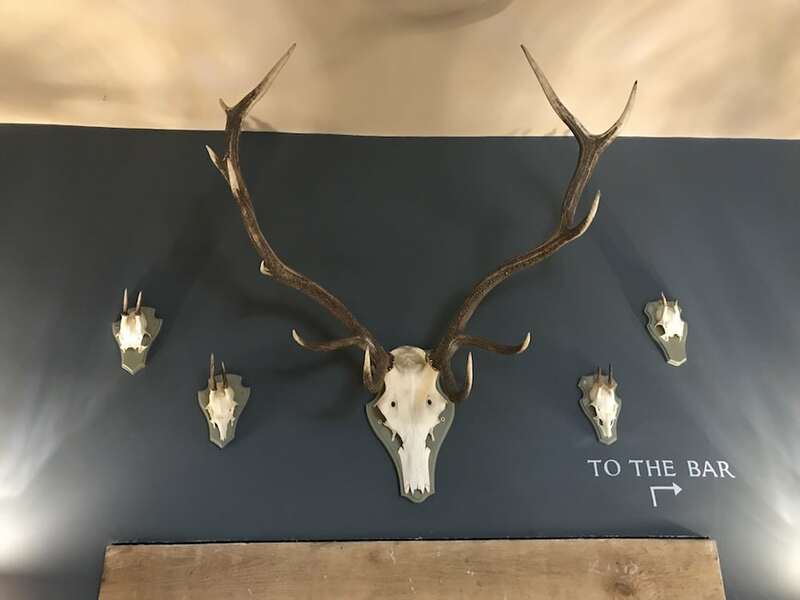 The conservatory dining extension is bright and airy with a few quirky touches like the skulls and plates adorning the walls. The bedrooms are comfy with immaculate bathrooms but not particularly distinctive – neutral, muted colours rule here. 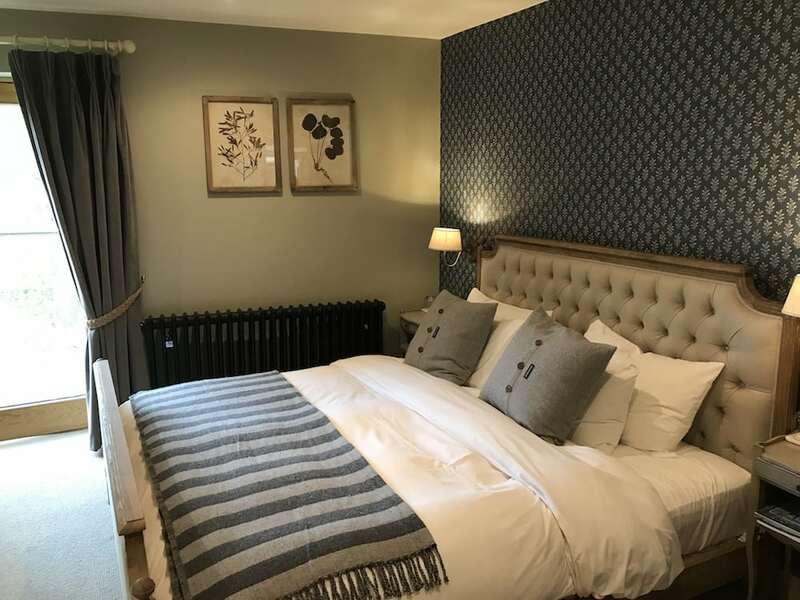 However, they looked just the ticket for getting a good night’s sleep away from the main pub with large comfy beds, flat screen TVs, fluffy towels, Nespresso coffee makers and heavy drapes to aid that all important lie-in. 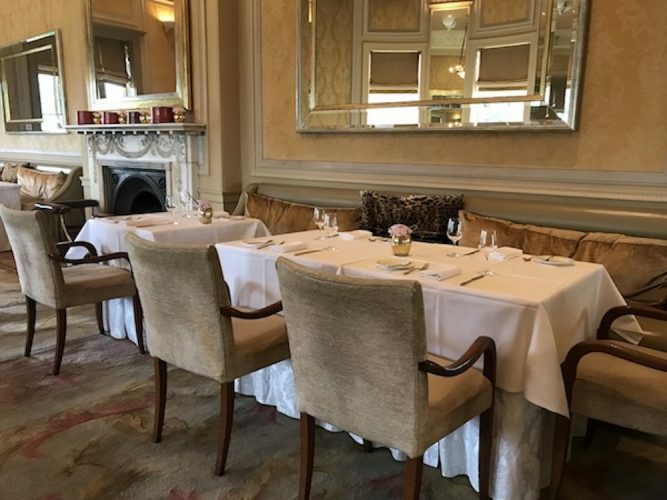 I decided on the lunchtime set menu – good value at 2 courses for £13.95 and 3 for £16.50. 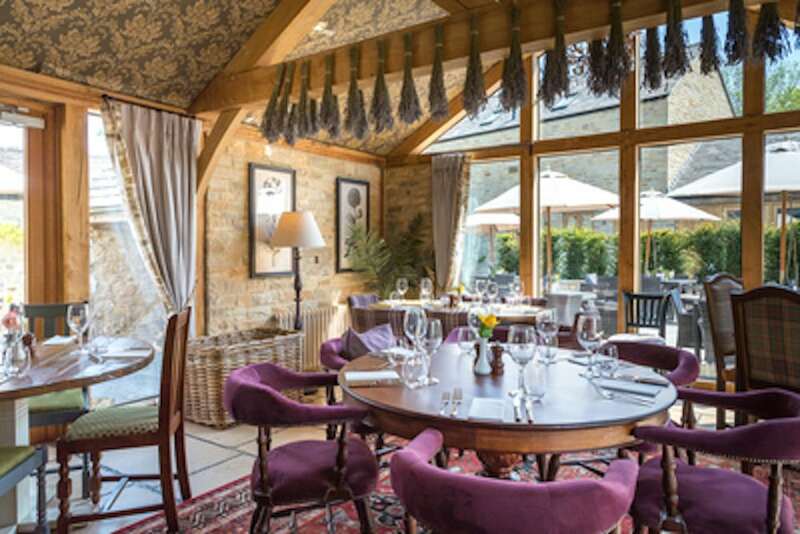 There’s emphasis here on locally sourced produce from the Cherwell Valley so the menu is seasonal. 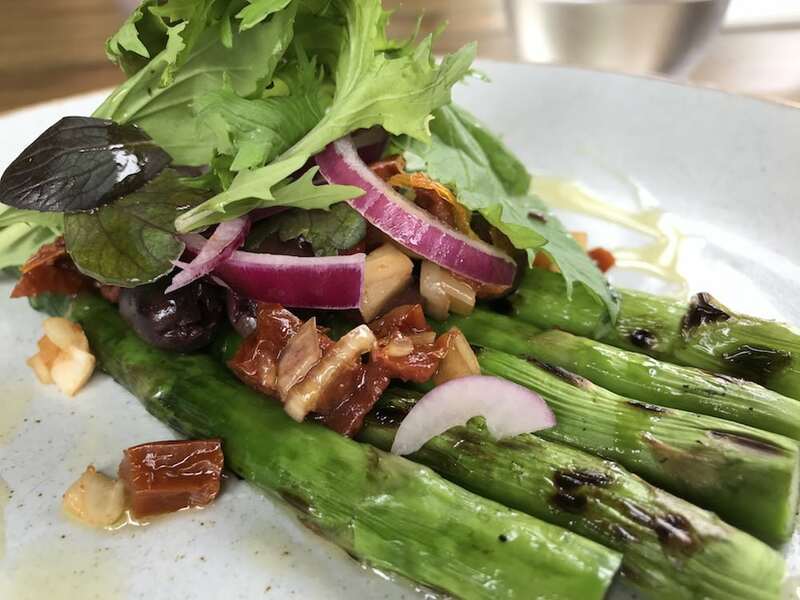 My starter of chargrilled asparagus with smoked sun-blushed tomatoes, Kalamata olives, red onion and herb salad was an unusual combo but light and delicious. Next up, pub grub stable steak and chips (predictable, me?). Well, flat-iron steak with skin-on chips and garlic truffle butter to be precise. It was juicy although not melt-in-the-mouth like a filet mignon, but with a lovely rich jus and really garlicky butter. 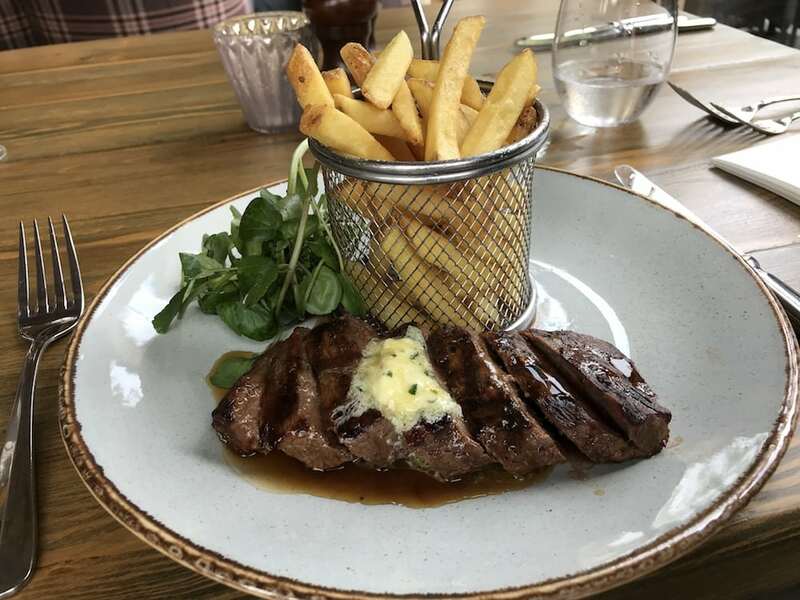 The chips tasted very fresh but I have to confess, I do like a triple cooked fat chip with my steak – call me greedy, I can take it. I felt obliged to have a pud for you, dear readers. 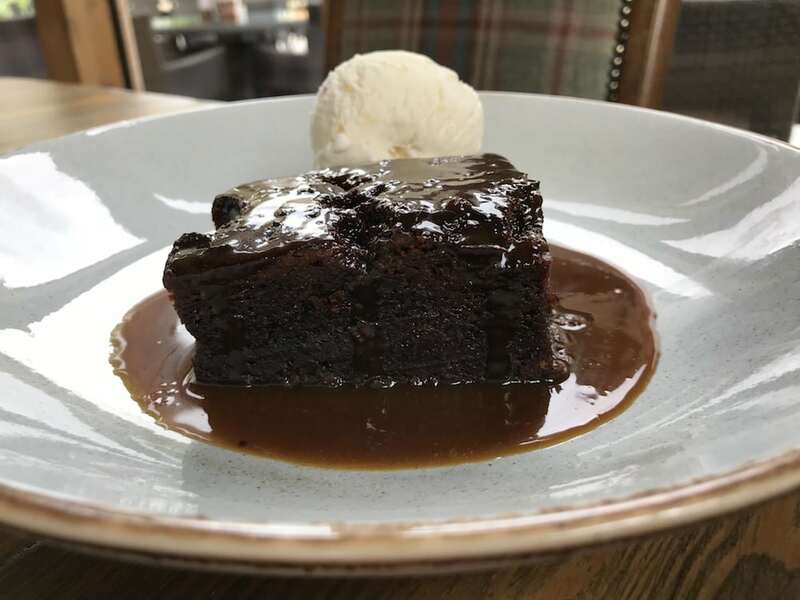 OK, OK, I admit it, my favourite was on the menu, as it should be in any self-respecting gastro pub – sticky toffee pudding, here served with butterscotch sauce and stem ginger ice cream. It arrived – a huge portion (I did mention vastness earlier, didn’t I?) – with a lovely sauce and real chunks of warming ginger in the ice cream. Thank goodness I was wearing my stretchy leggings, I thought to myself, as I waddled back to my car. 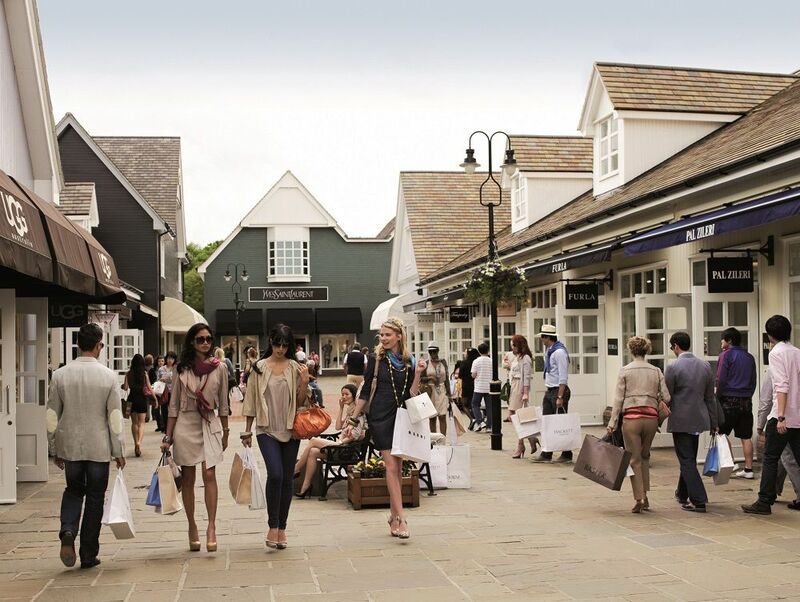 Top destination near Wendlebury is the shopping Mecca of Bicester Village. If you can’t face the crowds in the restaurants there (and there are often queues out of the door), then The Lion is only about 10 minutes down the road. Alternatively, you can visit Rousham Gardens (about 20 mins away) to see the original and unaltered eighteenth 18th century landscaping including the ponds and cascades in Venus’s Vale, the Temple of the Mill and a fake ruin known as the Eyecatcher. Good for: Anyone looking for decent reasonably priced pub food in a relaxed and friendly setting. There’s lots of different dining areas so all sized parties can be accommodated and it’s open for food all day from 8am. 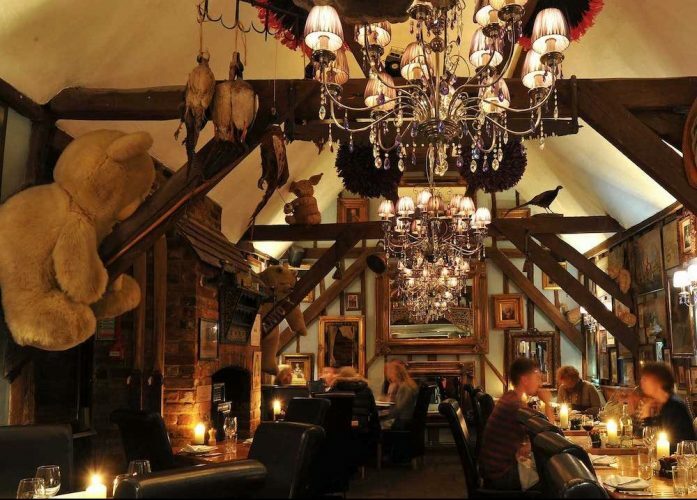 You can hire Cubs Cottage which accommodates 12 – 14 diners on each of its 2 floors or the Lavender Room which seats 16. Great for family get-togethers or business meetings. 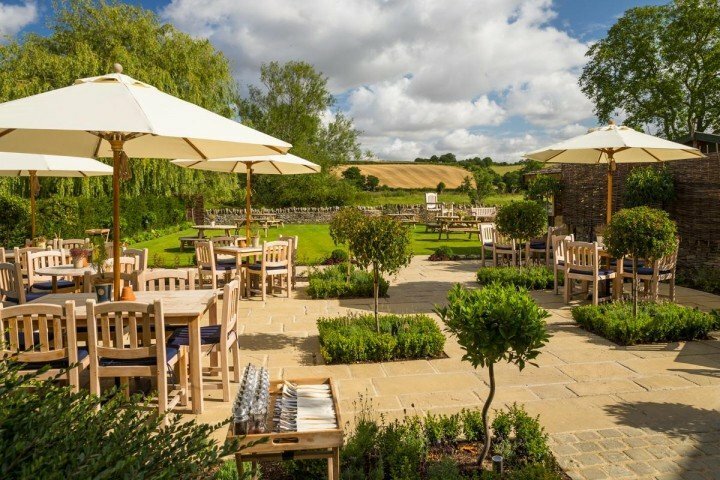 Being just off the M40, it’s the perfect base to explore the area or just stay the night if travelling further afield. Dogs are also welcome. Not for: Foodies looking for their next Michelin-starred or Bib Gourmand fix. The Lion is family-friendly and there’s plenty of space but not much to appeal to young kids so come armed with colouring books etc. The damage: All reasonably priced with lunchtime sandwiches from £7.50, sharing greengrocer’s boards from £15. Mains average around £14, with the ribeye the most expensive at £24. Standard double rooms start at £100 (dogs can stay for an extra £20).